From a Carolina Crown press release: Carolina Crown is extremely pleased to announce and confirm the appointment of Jennifer "Jenifo" Leseth as guard caption supervisor for the 2007 season. As the guard caption supervisor, Leseth will join returning veteran staff members Rosie Miller, Michael Townsend, Jennifer House and Mathew Follo. Responsibilities of managing the caption include the facilitation and optimization of technical and logistical elements while being the motivational force of the guard program. "For a couple of years now we have been looking to add Jenifo to our guard staff. Having her on board working with Rosie and company is absolutely fantastic," said Jim Coates, Crown's program/faculty coordinator. 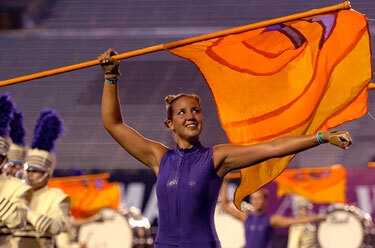 Read more about Leseth on www.carolinacrown.org.